PORT HURON — Wirtz Manufacturing Co. Inc., the Port Huron-based battery technology firm, has made a strategic investment in Joplin, Mo.-based ZAF Energy Systems Inc.
ZAF officials said the investment would allow it to expand its rechargeable nickel-zinc battery technology, growing manufacturing capacity from hundreds of batteries per month to thousands of batteries per month. This investment in a full production line will allow licensing and joint venture partners to validate the quality and throughput of the technology for commercially-scaled factories that are expected to begin buildouts in 2019. “We became very excited in partnering with ZAF when we experimented with the ZAF electrodes and found that we could produce plates at similar production rates as lead-acid technology after seeing the performance improvements and cost savings being delivered by nickel-zinc battery technologies,” said John Wirtz, CEO of Wirtz Manufacturing. ZAF’s batteries are helping to meet customer demands for powerful, cost-effective, and environmentally friendly battery solutions. ZAF’s NiZn batteries have potential uses in a wide range of applications, including automotive, heavy trucking, remote telecom, and renewable energy. NiZn batteries are poised to disrupt the $50 billion conventional lead-acid battery market with its ability to provide twice the storage capacity and three times the power of legacy lead-acid batteries in a smaller, lighter package. More at www.zafsys.com. Wirtz Manufacturing is a global leader in equipment design and technology for the lead-acid battery market. Since John Wirtz started in 1932 through today, the fourth generation of the Wirtz family continues managing the company focused on high quality products, continuous improvement of existing technologies, and the development of new technologies. 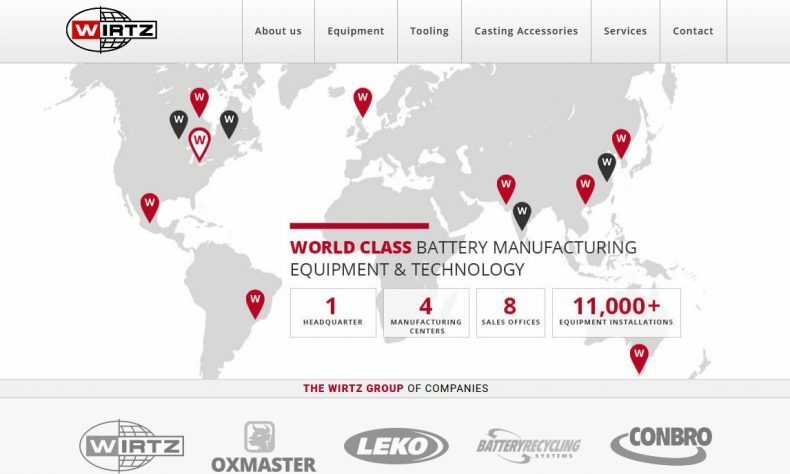 Wirtz has battery manufacturing operations in the United States, China, and India. More at www.wirtzusa.com.